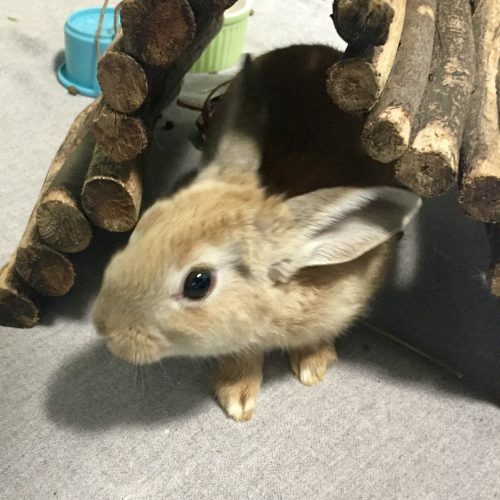 This is Karen, a dear little bunny who is very lucky to be alive and safe. She was put in a bag and thrown out of car in a Vancouver neighbourhood. Luckily a kind person saw this happen and went over to the bag to investigate. Thank goodness for Good Samaritans. 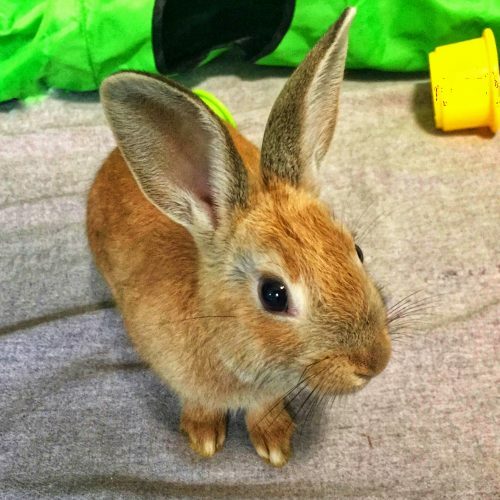 Karen is a small young bun, but we think she’ll probably stay on the small side, even when she’s full grown. 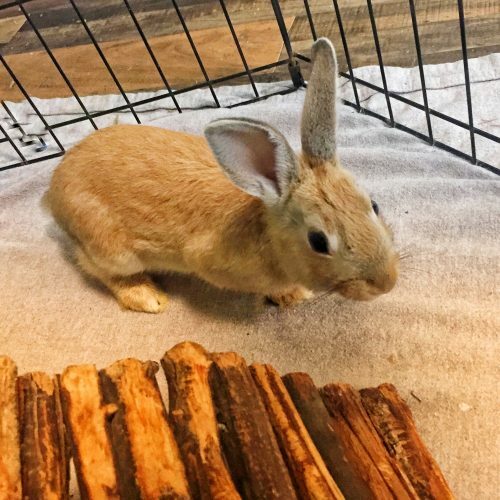 Despite the cruelty she’s endured, she is a happy and inquisitive rabbit, eager to socialize and have a kind hand stroke her head.